Jewish History. There’s more to our people’s history than the old joke “They tried to kill us. We won. Let’s eat!” That’s why we also learn about heroes like Jonas Salk and awesome times like the Golden Age of Spain. Mitzvot & Jewish Values. . Life is full of ethical dilemmas. How do we decide what to do in these difficult situations? Let’s talk about these challenges with the Torah as our guide. God, Prayers & Holidays. Have you ever wondered why we pray, or what exactly Judaism teaches about God? Also, what is Shavuot or Tisha B’Av? We have answers for your many questions! Jewish Texts. Did you know that there’s more to the Jewish Bible than just the Torah? It’s called the Tanakh. There’s also centuries of fascinating Jewish conversations based on another important work called the Talmud. You’ll know very soon what all of these things are. Lifecycle & Jewish Identity. We explore the questions of what it means to live a Jewish life in a today’s rapidly changing, global society. Israel. Learn about the people and the Land. Develop and express your own views about the modern State. And what’s the Big Idea? Students in Kindergarten through 8th grade meet Sundays from 9:00 am until 12:00 noon. See the Religious School calendar page for class dates. 9:00 Homeroom Hang out with your homeroom teacher and friends. 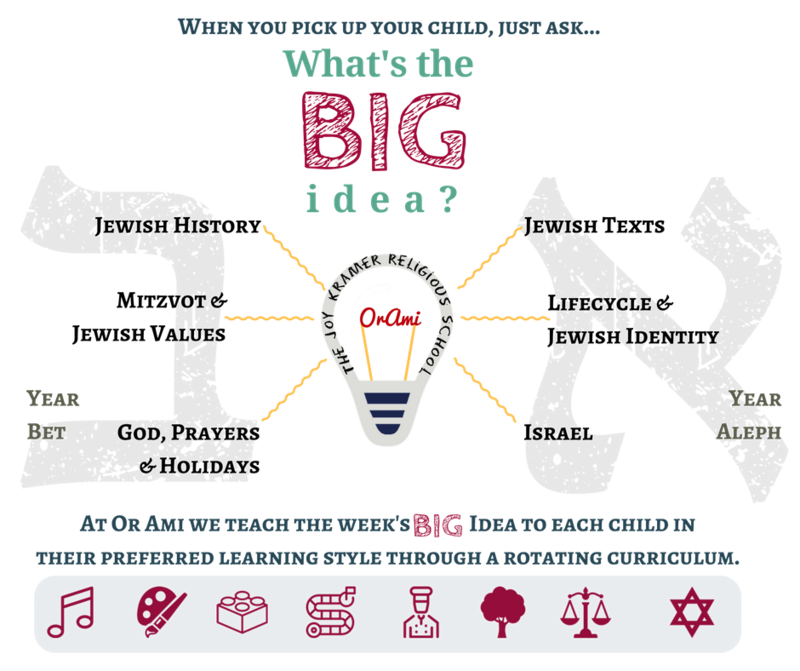 9:15 Assembly with Rabbi Ahuva Learn about the Big Idea of the day. Sign up for an Big Idea themed activity that inspires you. Do you like art, then try art. Art not your thing? 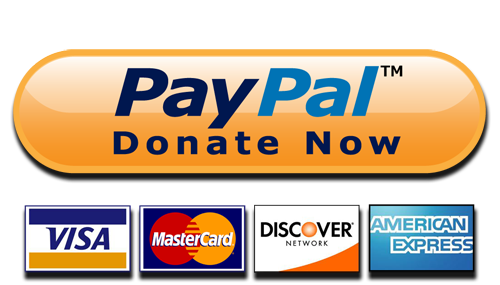 Try music or building or nature or games or theater or social justice or maybe learn something about Israel. Activity #2 Sign up for a second Big Idea themed activity so that you can check things out from a different perspective. 11:45 Homeroom Wrap up the day by sharing what you’ve learned about today’s Big Idea with the rest of the kids. Who know, you might just teach something new to a friend. Torah Tots, our exciting program for preschoolers, meets every other Sunday from 10:30 am until noon. Our Torah Tots learn about holidays and Jewish living through crafts, music, cooking, and stories. Students in 5-7th grade have ten group chanting sessions throughout the year with our cantorial soloist emerita to help prepare them for their B’nei Mitzvah ceremonies. Students in 8th grade have a special class devoted to learning about spirituality from diverse perspectives. They spend the fall semester learning about different movements within Judaism and the spring semester learning about other religions through discussions, media, and field trips to local churches, temples, and mosques, and other synagogues. Our 9th and 10th grade students meet every other Sunday from 4:30 pm until 6:00 pm for Confirmation Class with Rabbi Ahuva. (See the Religious School calendar for Confirmation Class dates.) This class prepares students for their Confirmation ceremony at the end of 10th grade. It also provides a safe space for students to explore their doubts, questions, and evolving identity. The class is largely discussion-based and infused with media, such as relevant movies, music, and YouTube clips. 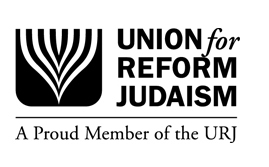 The primarily topics of discussion relate to Jewish-American identity, spirituality, and how Jewish and universal values can inform decision making as a teenager. Students in grades 9-12 are also encouraged to volunteer at our Religious School on Sunday mornings. Many students earn community service hours for their volunteer work and enjoy being a role-model for younger, admiring students. On the alternating Sundays when Confirmation Class does not meet, high school students participate in our youth group events. Our youth group is called OATY, which stands for “Or Ami Temple Youth” and is affiliated with the National Federation of Temple Youth (NFTY). OATY provides a casual and fun atmosphere for teens to hang out with other Jewish teens and make friends. OATY hosts an array of fun events and activities for teens throughout the year. Contact us or visit the OATY page for more information.